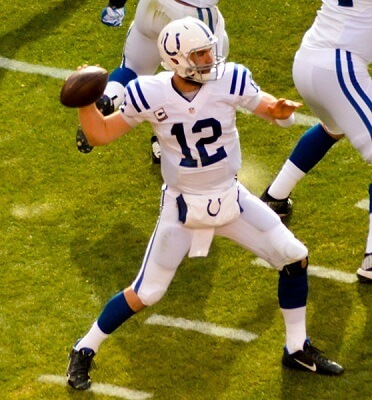 Get notified when Indianapolis Colts tickets are available! The Indianapolis Colts are a professional football team from Indianapolis, Indiana. They are a part of the National Football League and have been since their very beginnings in Baltimore, Maryland. Since 2008, the Indianapolis Colts have housed their home games at the Lucas Oil Stadium in downtown Indianapolis, which can seat up to 70,000 fans. The Colts’ first Super Bowl win was in the year 1970 and their second Super Bowl win was in 2006 while also attending 27 playoff games. At home or away, you can witness an Indianapolis Colts game for yourself by getting some Indianapolis Colts tickets with the links found above.